A week ago today, developer Arun Thampi detailed on his blog how the Path app for iOS accessed users' contact information and uploaded that data to Path's servers -- all without any explicit permission granted on the user's part. Well this info has sparked an outcry from iPhone users, and Apple has now addressed it. Spokesman Tom Neumayr telling AllThingsD that "apps that collect or transmit a user's contact data without their prior permission are in violation of our guidelines," but that it is "working to make this even better for our customers, and as we have done with location services, any app wishing to access contact data will require explicit user approval in a future software release." No word on a software update to fix the problem yet, though. Incidentally, this news comes on the same day that Congressmen Henry Waxman and G.K. Butterfield sent a letter to Apple over the issue, asking that it respond to a number of privacy-related questions no later than February 29th. The letter, as well as a press release can be found below. WASHINGTON, DC - Today Energy and Commerce Committee Ranking Member Henry A. Waxman and Commerce, Manufacturing, and Trade Subcommittee Ranking Member G. K. Butterfield sent a letter to Apple CEO Tim Cook regarding recent reports that the social networking app "Path" accessed and collected address book information from consumers without asking for consent. There have been claims that the practice of collecting consumers' address book contacts without their permission is common and accepted among iOS app developers. This raises questions of whether Apple's iOS app developer policies and practices adequately protect consumer privacy. Chief Executive Officer, Apple Inc.
Last week, independent iOS app developer Arun Thampi blogged about his discovery that the social networking app "Path" was accessing and collecting the contents of his iPhone address book without ever having asked for his consent. The information taken without his permission – or that of the individual contacts who own that information – included full names, phone numbers, and email addresses. Following media coverage of Mr. Thampi's discovery, Path's Co-Founder and CEO Dave Morin quickly apologized, promised to delete from Path's servers all data it had taken from its users' address books, and announced the release of a new version of Path that would prompt users to opt in to sharing their address book contacts. This incident raises questions about whether Apple's iOS app developer policies and practices may fall short when it comes to protecting the information of iPhone users and their contacts. The data management section of your iOS developer website states: "iOS has a comprehensive collection of tools and frameworks for storing, accessing, and sharing data. . . . iOS apps even have access to a device's global data such as contacts in the Address Book, and photos in the Photo Library. "The app store review guidelines section states: "We review every app on the App Store based on a set of technical, content, and design criteria. This review criteria is now available to you in the App Store Review Guidelines." This same section indicates that the guidelines are available only to registered members of the iOS Developer Program. However, tech blogs following the Path controversy indicate that the iOS App Guidelines require apps to get a user's permission before "transmit[ting] data about a user". In spite of this guidance, claims have been made that "there's a quiet understanding among many iOS app developers that it is acceptable to send a user's entire address book, without their permission, to remote servers and then store it for future reference. It's common practice, and many companies likely have your address book stored in their database." One blogger claims to have conducted a survey of developers of popular iOS apps and found that 13 of 15 had a "contacts database with millions of records" – with one claiming to have a database containing "Mark Zuckerberg's cell phone number, Larry Ellison's home phone number and Bill Gates' cell phone number." What data do you consider to be "data about a user" that is subject to the requirement that the app obtain the user's consent before it is transmitted? To the extent not addressed in the response to question 2, please describe how you determine whether an app will transmit "data about a user" and whether the consent requirement has been met. How many iOS apps in the U.S. iTunes Store transmit "data about a user"? Do you consider the contents of the address book to be "data about a user"? How many iOS apps in the U.S. iTunes Store transmit information from the address book? How many of those ask for the user's consent before transmitting their contacts' information? Please provide the information requested no later than February 29, 2012. If you have any questions regarding this request, you can contact Felipe Mendoza with the Energy and Commerce Committee Staff at 202-226-3400. 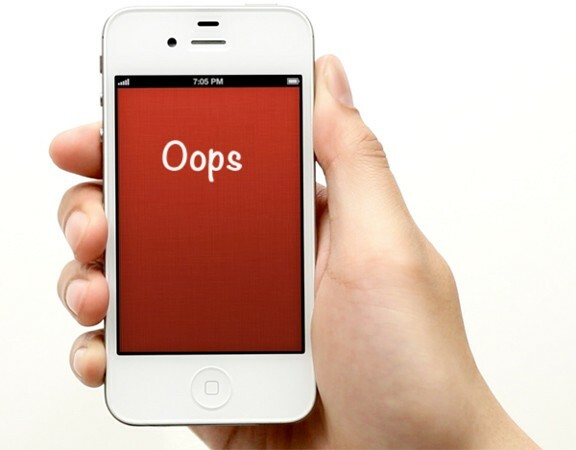 Arun Thampi, Path Uploads Your Entire iPhone Address Book to Its Servers, mclov.in (Feb. 8, 2012) (available at http://mclov.in/2012/02/08/path-uploads-your-entire-address-book-to-their-servers.html). Dave Morin, We Are Sorry, Path Blog (Feb. 8, 2012) (available at http://blog.path.com/post/17274932484/we-are-sorry). iOS Data Management (available at https://developer.apple.com/technologies/ios/data-management.html). App Store Review Guidelines (available at https://developer.apple.com/appstore/guidelines.html). Andrew Couts, Path Privacy Debacle: Is Apple to Blame?, Digital Trends (Feb. 8, 2012) (available at http://www.digitaltrends.com/mobile/path-privacy-debacle-is-apple-to-blame/). Dustin Curtis, Stealing Your Address Book, dcurtis (available at http://dcurt.is/stealing-your-address-book). See also Stuart Dredge, Path's Privacy Problem Poses Questions for all Social Apps, The Guardian (Feb. 9, 2012) (available at http://www.guardian.co.uk/technology/appsblog/2012/feb/09/path-privacy-apps?newsfeed=true); Maryam Nabi, Story the Week: Path's Privacy Concerns, Financial Times (Feb. 11, 2012) (available at http://blogs.ft.com/fttechhub/2012/02/story-the-week-paths-privacy-concerns/#axzz1mH3eQZ2U); Charlie Osborne, iOS Apps: Massive Invasion of User Privacy, ZDNet (Feb. 8, 2012) (available at http://www.zdnet.com/blog/igeneration/ios-apps-massive-invasion-of-user-privacy/15138).